Use our beautiful space for your upcoming event! Our business is located in the heart of downtown Lawrence. We're on the second floor of the Area I building with large windows offering a spectacular view of Mass Street. At the front entrance of the building is an elevator. The back entrance provides access to the parking garage located on New Hampshire Street. The room DOES NOT have direct internet access - you can use a personal cell phone as a hot spot or make other arrangements . Renter will have use of the Go Driving School facility for the dates and times indicated above. Arrangements may be made for additional set-up or clean-up times. Rental fee includes the room, tables, chairs, and use of the kitchen area and equipment. All activities must be confined to the Go Driving School facility and hallway restrooms; other areas of the Area I building may not be used. Rental agreement is issued only to Renters age 21 and over who agree to accept responsibility for supervising guests throughout the rental period. Renter is responsible for maintaining orderly conduct by all event participants. Renter must be in attendance at all times during the event. Renter shall comply with all applicable laws and shall not use or let participants use the facility for any unlawful purpose. 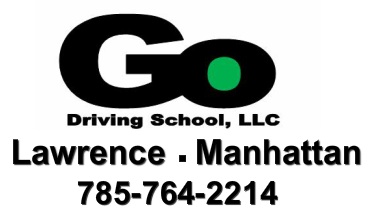 Go Driving School, LLC does not assume responsibility for participants’ actions or safety at the Go Driving School facility. Renter assumes all liability for participants’ actions or safety. Renter is considered a “private party” and is allowed to provide their own food and beverages. Serving alcohol is the discretion of the Renter. No one under legal drinking age will be served alcohol. Renter determines legal drinking age and is liable for participants’ safety. Decorations are allowed and can be hung with scotch or masking tape. Loud music and excessive noise that may disturb other building occupants are not allowed. Renter is responsible for returning the facility to “as it was” condition. Items moved or rearranged (e.g. tables, chairs, and equipment) must be placed back in their original places. Renter is responsible for removing all decorations. Tables must be cleaned and floors swept or vacuumed (and the kitchen cleaned it used). All personal property must be removed. Trash must be taken out and placed in the bins outside the back door by the parking garage. Renter is responsible for and pays for any damage to the Go Driving School facility or Area I building resulting from facility use. Security deposit may be retained for damage or additional cleaning (e.g. stained floors and walls, broken tables, missing equipment, etc.). Renter agrees to pay Go Driving School, LLC for repair costs in exceeding the security deposit. The security deposit (or a portion of it) is refunded only after Go Driving School determines that the facility, its contents, and the Area I building are free of damage. Once a rental request has been approved, an email confirming your reservation and a rental agreement will be sent. A $200.00 Security Deposit and a $75.00 Room Rental fee will be collected before the date of the event. ​I have read the above rules governing facility use and agree to abide by them.